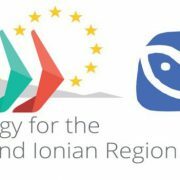 The “Mediterranean Coast and EU Macro-regional Strategies Week – Living with the sea” will be held between 20-23 September 2017 at the Slovenian Coast. The traditional event brings together interested public and stakeholders to discuss the potentials, impact and risks of the sea and coastal area at the local, national, regional and macro-regional level. The strategic project EUSAIR Facility point will contribute to the event by hosting a workshop on how to translate synergies between the EU policies on Maritime spatial planning and Integrated coastal zone management into concrete projects, which will be run in Izola (Slovenia) on 21 September 2017. As well, a conference on media and communication in the context of macro-regional strategies will be organised on 20-22 September 2017. The programme and venues of the events are available HERE.